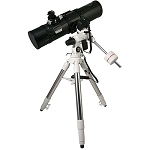 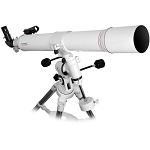 Celestron paired a Go-To mount with a large-aperture OTA to produce this Advanced VX 8 200mm f/5 Go-To Reflector Telescope. 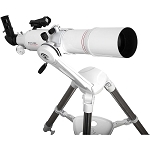 Pairing the fully motorized and computer-controlled mount with a large Newtonian reflector scope produces an observation platform optimized for deep-space viewing and astroimaging. 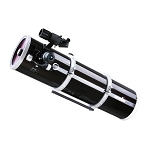 Its optical tube features an 8" (200mm) parabolic mirror to draw in copious amounts of light - even light from distant deep space objects like binary stars, galaxies, and nebulae. 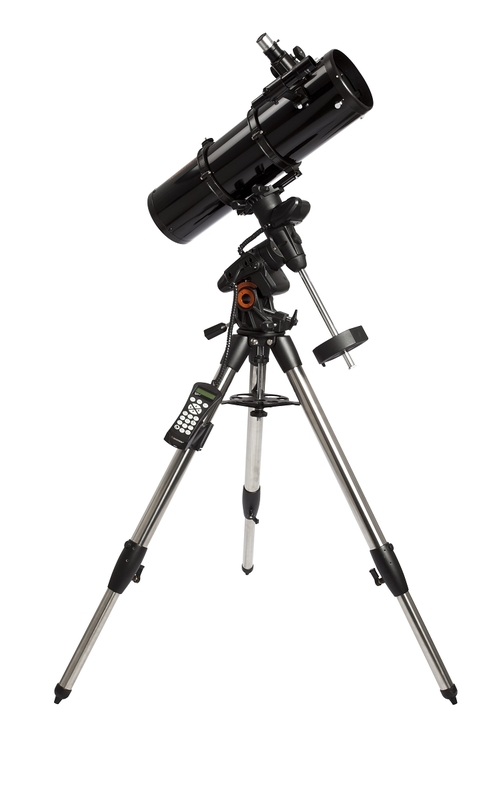 Its fast f/5 focal ratio allows for short exposure times, which means more images can be captured for later stacking in post. 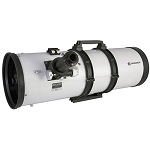 A large-drawtube 2" focuser allows the use of larger wide-field eyepieces or large imaging sensor cameras to be used without vignetting, and an included reducer adapter lets user install smaller 1.25" accessories like the included eyepiece.